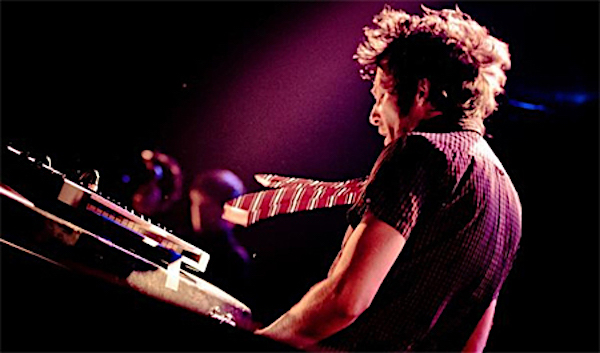 Hervé Salters is the artist behind one-man-band General Elektriks. A French keyboardist with a self-confessed passion for vintage keyboards, Hervé Salters initiated General Electrics just before moving to San Francisco. Using a computer and his oldschool keys, he started sowing together loops, Funky keyboards, light melodies and digital noises. Also part of the band Honeycut, Salters released his sophomore album as General Elektriks last year to wide acclaim. The new album, Good City For Dreamers, is the follow up to GE’s debut album Cliquety Kliqk. The production here is polished and the songs are just as well crafted as on GE’s debut. Hervé Salters’ new offering is a quirky mix of retro funk, New Wave-inspired indie rock and glitchy electronica that oscillates between moments of quiet contemplation, melancholy and clap-happy euphoria.